Home Diaspora What is the Windrush Generation and why does it matter to Jamaica? 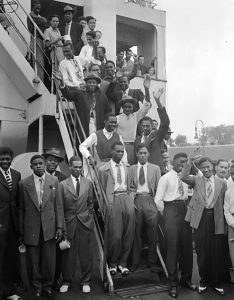 What is the Windrush Generation and why does it matter to Jamaica? 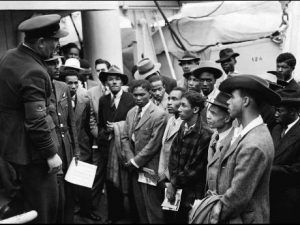 The Windrush Generation are the thousands of Caribbean migrants invited to Britain between 1948 and the early 1970s to help rebuild the nation after World War II. Commonwealth citizens living in the United Kingdom (UK) had been granted indefinite leave to remain based on provisions in the 1971 Immigration Act. Changes in UK law in 2012 and 2014, however, demanded that these persons prove they had the right to remain in Britain by providing documentary evidence. Without this proof, access to key social services – work, property rental, driving licenses, healthcare – is being withheld. Many legitimate citizens were caught up in a clampdown in recent times to identify an influx of illegal immigrants. Why? Many descendants of Windrush immigrants travelled to the UK as children on their parents’ passports and never bothered to apply for their own documents. As a result, they are finding it difficult to produce the paperwork or documentation which proves that they are legal residents. The UK Home Office did not record or document the persons who were granted leave to remain in the country under the 1971 Immigration Act. So now it’s difficult to differentiate between those who have the right to be there, and those who do not. At 7 a.m. today a ship the Empire Windrush berthed at Tilbury with 417 “Sons of the Empire” on board. After returning to their home land after the war, these Jamaicans found many unemployed in the island, and they hope to find the answer in England. Although there will be countless difficulties It is understood that every effort is being made to find accommodation for them , and to find them work. It is understood that 52 are volunteering for the forced and 204 are going to friends in this country. 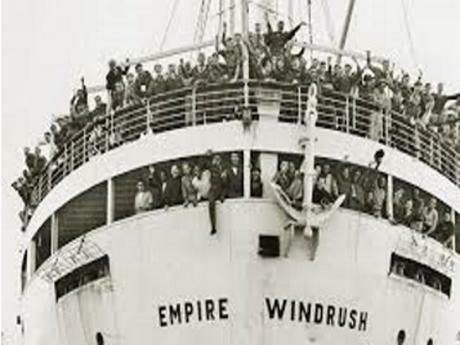 The name ‘Windrush’ is a direct reference to the ship MV Empire Windrush, which, according to the BBC, arrived at Tilbury Docks, Essex, on 22 June 1948, bringing workers from Jamaica, Trinidad and Tobago and other islands, as a response to post-war labour shortages in the UK. “It is unclear how many people belong to the Windrush generation, since many of those who arrived as children travelled on parents’ passports and never applied for travel documents – but they are thought to be in their thousands. The following is an excerpt from an editorial piece published in the Gleaner of June 24, 1948, about the workers from Jamaica who were part of the Windrush expedition. It called the invitation from British government to West Indian labourers a ‘dangerous precedent’. Has history proven these words right? Excerpt courtesy of the Gleaner Archives, from the June 24, 1948 publication. Why does this matter to Jamaica? Majority of the Commonwealth citizens who arrived as Windrush immigrants were from Jamaica. Currently, Jamaicans account for 15,000 of the 57,000 non-UK nationals living in the country. They all form part of the Jamaican diaspora, and what happens to them should matter to – and will directly and indirectly affect – the wider Jamaican community. The legality: Windrush Immigrants were granted indefinite leave to remain under the 1971 Immigration Act. They have a legal right to be in the UK. Unfair social upheaval: Now think about the level of upheaval that these immigrants must be undergoing. Imagine living in a country all your life, only to hear that if you can’t prove that you belong there, they are shipping you off to another country with which you have no immediate ties, since you have never lived there? Especially when you know you are legal, but cannot prove it because of the nature of your arrival and the circumstances thereafter? Deportation: Attempts to clamp down on Windrush immigrants and their descendants – especially attempts to deport them back to their home countries – means that the country would be seeing an inordinately large percentage of deportees arriving on our shores unexpectedly. Remittances: Jamaicans also depend on their foreign relatives in the diaspora for financial assistance, normally in the form of remittances. What does it mean for the country if these persons, their lifestyles and livelihoods, are suddenly in question and at peril? Why is this in the international spotlight? At a meeting of Commonwealth Heads of States with the UK government at Downing Street on April 17, 2018, Prime Minister Theresa May apologised to Caribbean leaders for the controversy surrounding the threats of deportation and pressures facing immigrants and descendants of the Windrush Generation. This apology was especially ironic since it was May, as Head of Home Security, who oversaw the changes in 2012 that led to the crackdown which spawned this controversy.